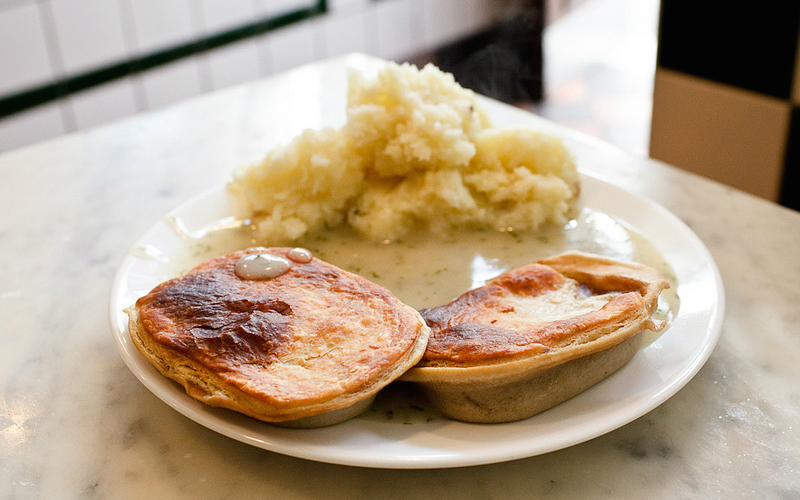 We’ve rounded up the best pies in London town. Whether you’re a puff pastry lid kinda person or more of a shortcrust pastry bottom. The Windmill take pies pretty seriously – they even have a Pie Club! But if you just wanna eat a pie you can’t go wrong with their market fish pie or suet pudding pie with Dorset mutton shoulder, lamb mince and root veg. 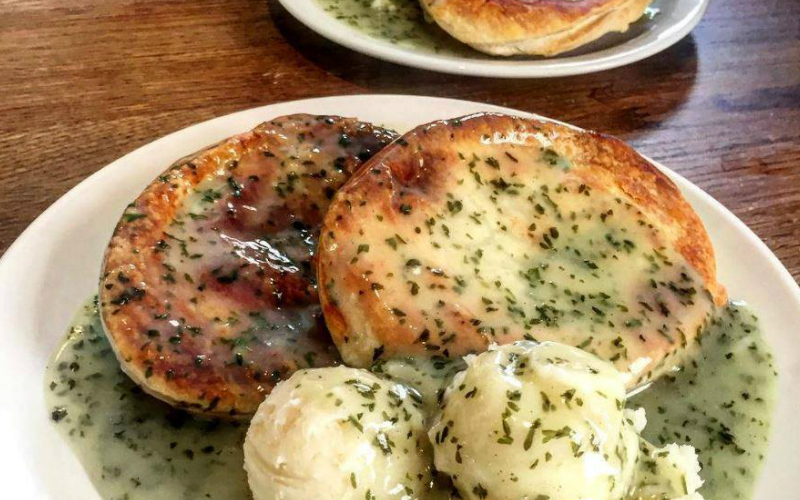 Putney Pies is West London’s dirty little secret. 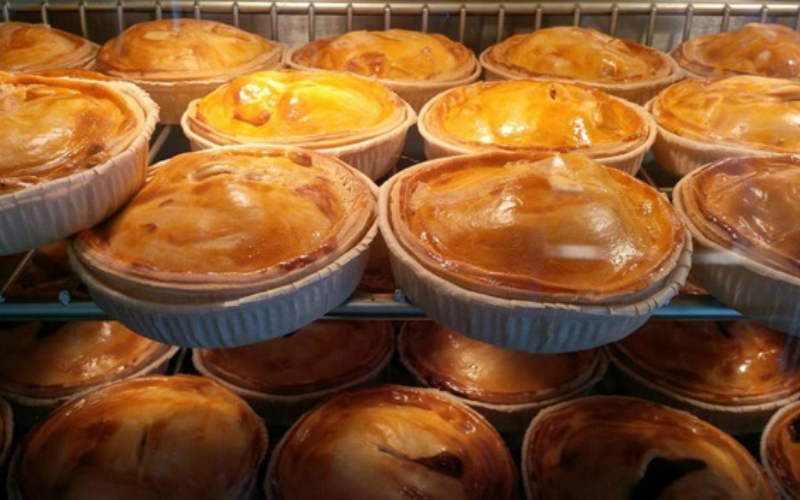 Serving up handmade pies, pot pies with lids and hot pots, they’ve got everything you could ever want. 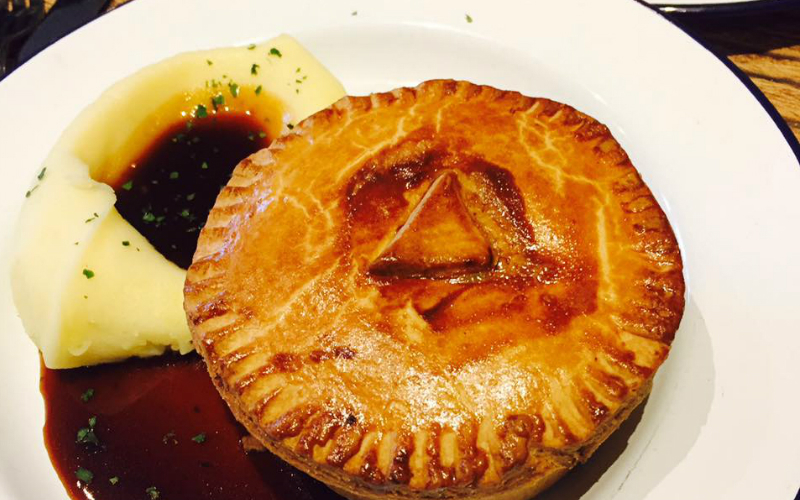 From the traditional steak and ale to the wild rabbit & bacon, it’s pies how they should be – with lots of mash and gravy. Albion loves pies, like a lot. 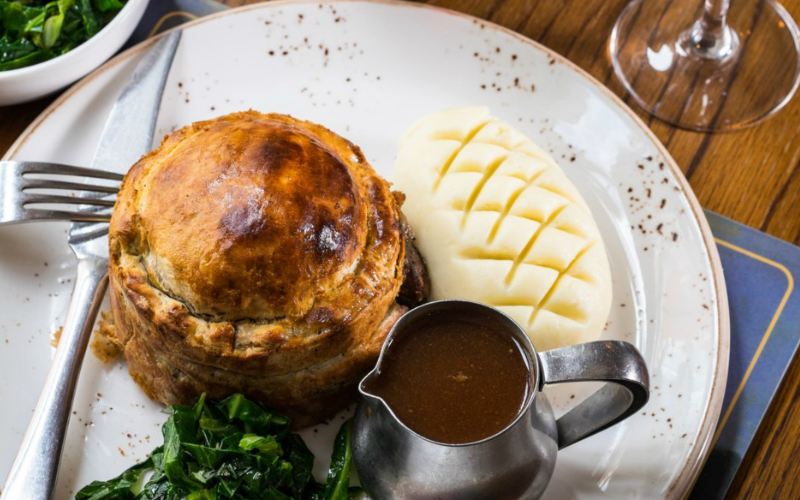 When it comes to the grub you can expect to find classics like ox cheek & ale cottage pie and smoked chicken & leek puff pie, so you’re sorted whether you prefer your pies topped with potato or pastry. Piebury Corner is their name, pies and craft beer is their game. 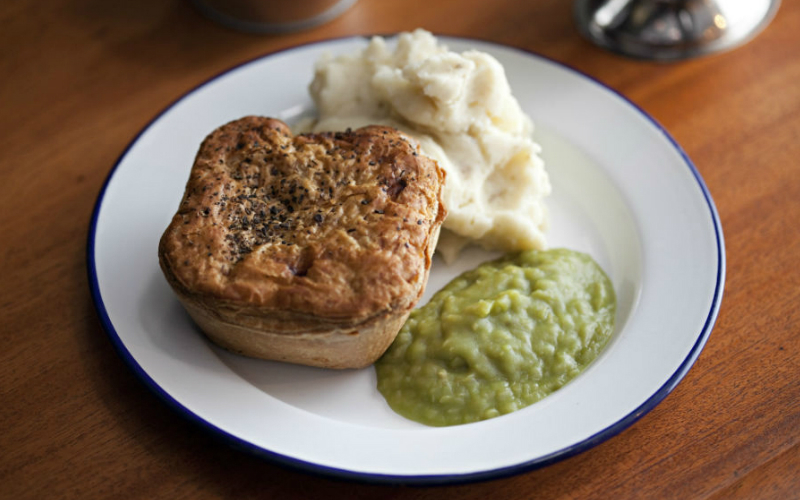 Once a place that just fuelled footie fans, Piebury Corner now serve up everything from ox cheek and venison to chicken balti and even do a good selection of veggie pies…but each pie is still named a footballer. OBVS. 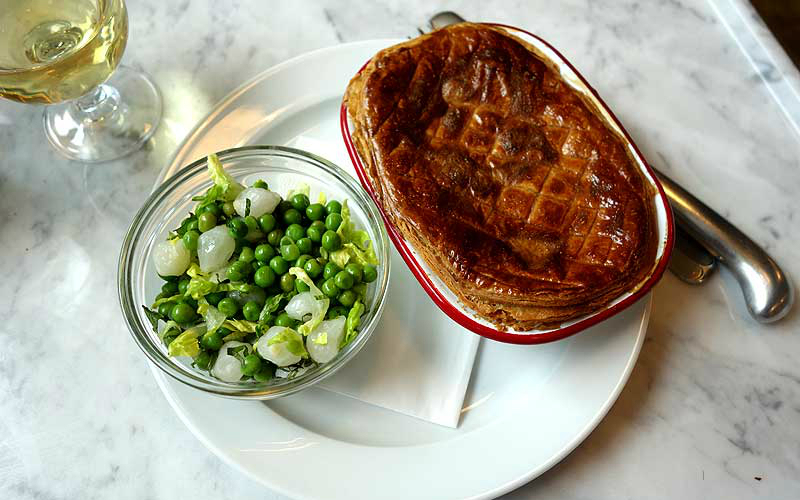 Pastry King Calum Franklin heads up the kitchen at Holborn Dining Rooms, so it comes as no surprise that they do a bangin’ selection of pies. And if you’re gonna pick anything it has to be THAT curry mutton pie with mango salsa. HELLO! 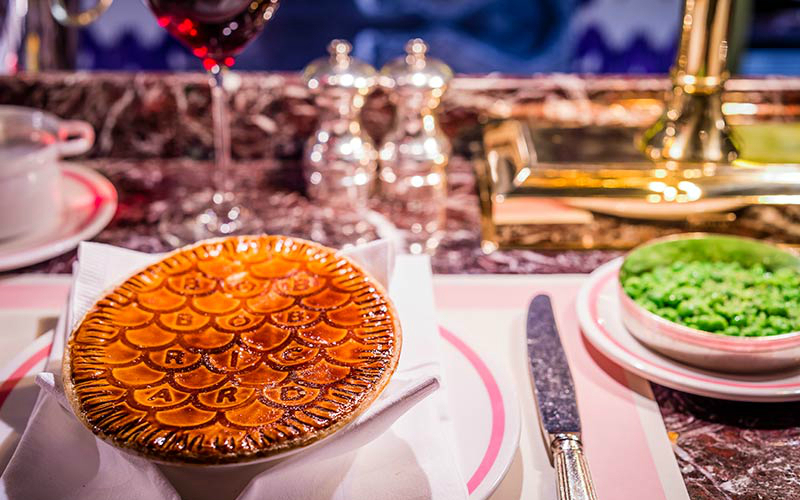 The iconic Soho restaurant Bob Bob Ricard have a chicken, mushroom and champagne pie on the menu, which comes with their name etched into the crust and is possibly the poshest pie in London. Just look at it…it’s a knock out. The oldest pie shop in town, M.Manze has been serving traditional pie, mash and eels since 1902 and they still use the same recipes too. Impressive. Whether you dine in or take-away you can find a true cockney experience right here. Their pub grub menu is one full of pie and mash. We praise you, we really do. 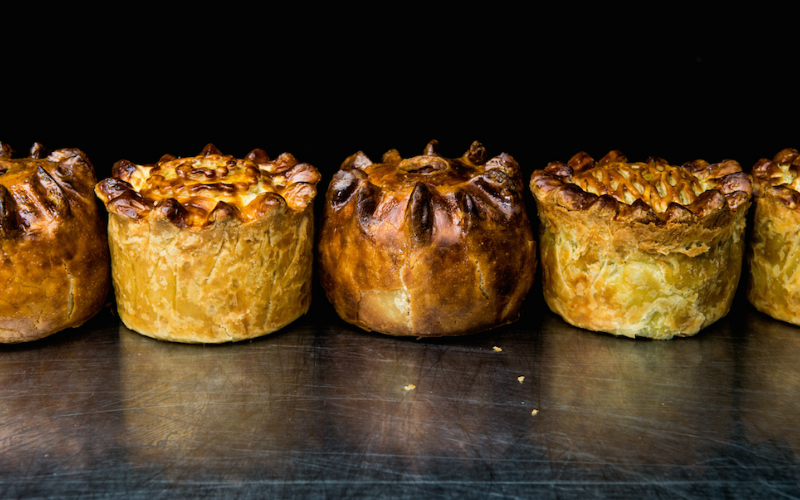 Handcrafted, fully encased shortcrust pies of steak & ale, steak & kidney, chicken leek & ham, and spinach, sweet potato & goat’s cheese. HUZZAH!